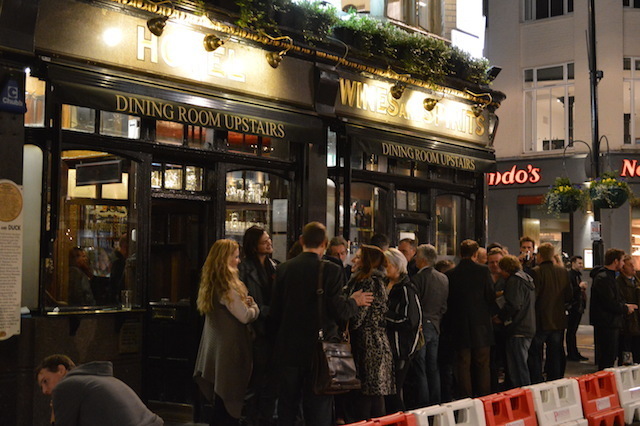 This pub was voted among the best in Soho by Londonist readers. 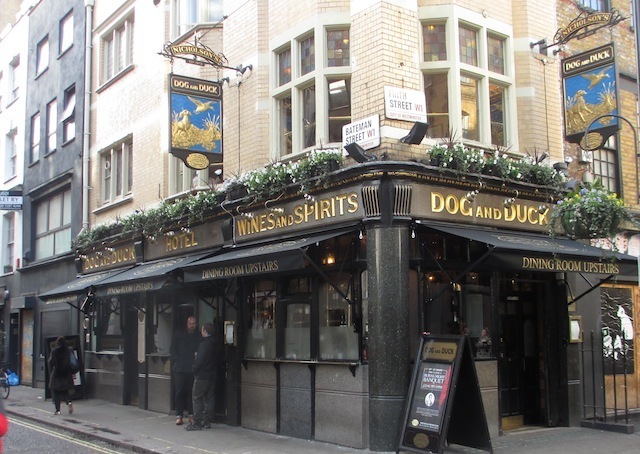 This tiny, ornate pub is where George Orwell sank a celebratory absinthe when Animal Farm was picked for the American Book of the Month Club. It’s more real ale and European lager these days (the pub’s owned by Nicholson’s), with an impressive selection, but the upstairs dining room is named after the writer — how Madonna felt about this when she popped in for a pint, history does not record. She was probably more distracted by the decor: beautiful tiled walls, mahogany panelling and decorative mirrors make it a perfect slice of Victoriana. Meanwhile, gents get to sample one of the most precipitous staircases in any London pub. Get here early if you want to enjoy the interior, it gets very busy, even on a Monday. The pub recently enjoyed another literary encounter. 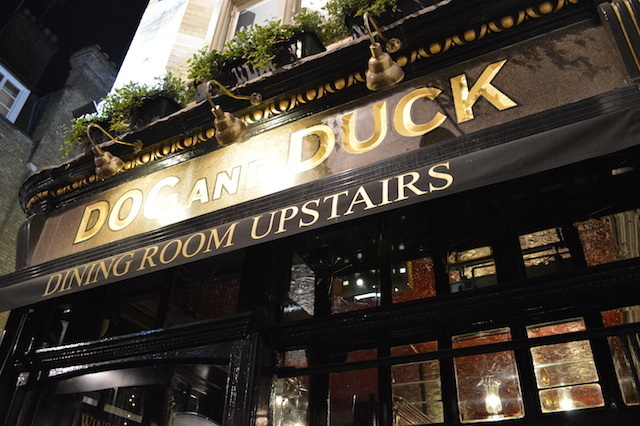 Several key scenes in the well-received 2012 novel Soho 4 a.m. by Nuala Casey are set in the Dog & Duck.